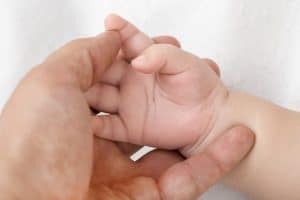 Simon Elliman explores ways in which awareness of shoulder dystocia and Erb’s Palsy can be heightened, to coincide with Erb’s Palsy Awareness Week, which runs from 26 June to 2 July 2017. There are several different ways in which awareness of Erb’s Palsy can be increased. First, and perhaps most obviously, increased public awareness of the condition itself is a helpful aim. Secondly, making sure that those who have the condition are able to access all available help and resources is very important indeed. Thirdly, and very significantly in reducing future incidence of the condition, is raising awareness among expectant mothers of the dangers of shoulder dystocia, and of the availability of planned caesarean section where appropriate. Fourthly, there is undoubtedly still a need for greater understanding among doctors and midwives as to how shoulder dystocia, and hence Erb’s Palsy, can be avoided. The Erb’s Palsy Group is a UK charity providing advice and support to anyone affected by Erb’s Palsy. The charity offers extensive advice on issues such as medical treatment and state benefits, and will often put families in touch with other families affected by Erb’s Palsy to offer knowledge, guidance and support. As part of Erb’s Palsy Awareness week, commencing on 26 June 2017, the group will be raising its profile on social media, and sharing information and facts about Erb’s Palsy. When I met with a family affected by Erb’s Palsy recently, we had an interesting discussion about how much the average expectant mother typically knows about shoulder dystocia. Not much in many cases, I suspect. It is of course, relatively rare (estimated at 0.4% of vaginal deliveries in a recent large scale study), and one could ask why should expectant mothers be burdened with more anxiety-inducing information? In some cases, however, the risk is significantly increased. One example would be in the case of diabetic mothers, who are known to be likely to have bigger babies. Another would be where the mother has had a previous episode of shoulder dystocia, or where a very petite mother is predicted on the basis of scans to be having a very large baby. Where such risk factors apply, mothers need to be well-informed, and need to understand the risks of vaginal delivery, as against those associated with a planned caesarean. In the case of Montgomery, decided by the Supreme Court in 2014, it was decided that where a mother faces a significant risk of shoulder dystocia, she should be warned of that risk and offered the option of a planned caesarean section. In cases since Montgomery, it is clear that midwives and obstetricians have not taken that message fully on board, and that mothers are sometimes still not being provided with all relevant information to allow them to make informed choices about mode of delivery, and still sometimes being encouraged inappropriately towards vaginal delivery. As part of this year’s Erb’s Palsy Awareness week, I hope that the medical profession is listening, as well as the general public. As part of Erb’s Palsy Awareness Week, Royds Withy King will be holding a free online clinic. This will be attended by Erb’s Palsy Group UK and Dimitrios Siassakos; Senior Clinical Lecturer in Obstetrics and expert in the management of shoulder dystocia. If you are affected by any of the issues raised in this blog you are welcome to attend our free online clinic taking place on Wednesday 28th June 2017 between 6-8pm. For more information/to sign up, please see our registration page.